Older man massaging his temple. Old man feeling pain in his temple, blurred background. Seniors and health problems. 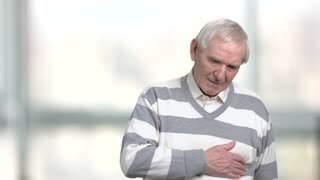 Mature man having cough attack. Middle-aged man having pain in his chest. Health problem concept. Caucasian pensioner feeling pain in his temples. 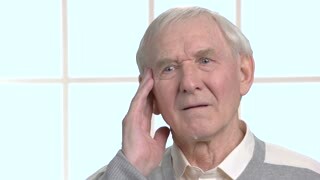 Old european man suffering from terrible headache, grey background. Pain and facial expression. Unhappy older man suffering from tooth ache. Old man touching his cheek and feeling terrible tooth pain close up. Dentistry and health problem concept. 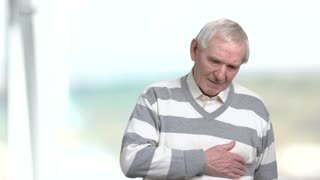 Old man feeling pain in his chest. 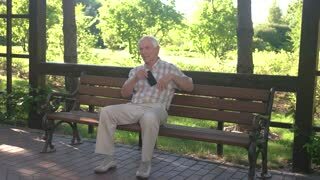 Senior man having heart problems, blurred background. Worried old man massaging his temples. 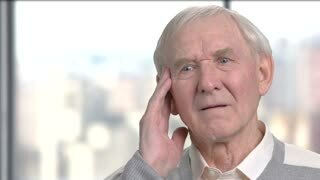 Sad elderly man having strong headache, window background. Human health problems and facial expressions.